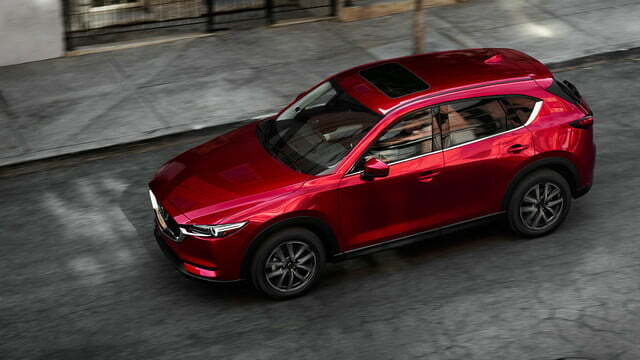 Mazda just upped the small crossover SUV ante with the 2018 Mazda CX-5 lineup. Digital Trends liked the 2017 CX-5 so much we named it the Best Crossover SUV for 2017, the first year of the CX-5’s second generation. 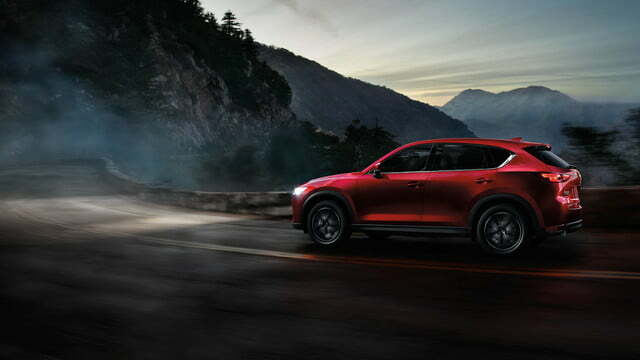 Within just a few months since its initial spring introduction, Mazda announced impressive CX-5 trim level content changes for the 2018 model year. Mazda added its full passive safety and driver assist feature suite to the two top CX-5 trims and aggressively priced the all-inclusive safety package for the base Sport trim. 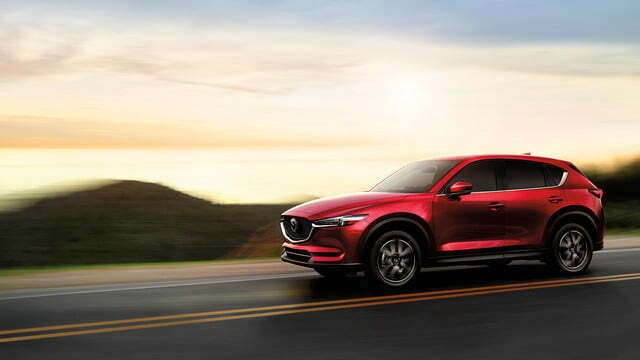 Mazda also added cylinder deactivation to the CX-5’s 2.5-liter gas engine, resulting in a one-mile-per-gallon EPA rating increase. Other than minor price adjustments, the safety suite inclusions and cylinder deactivation are the only noteworthy changes for 2018, so far. A promised 2.2-liter diesel engine option will be a big deal when it’s finally available. 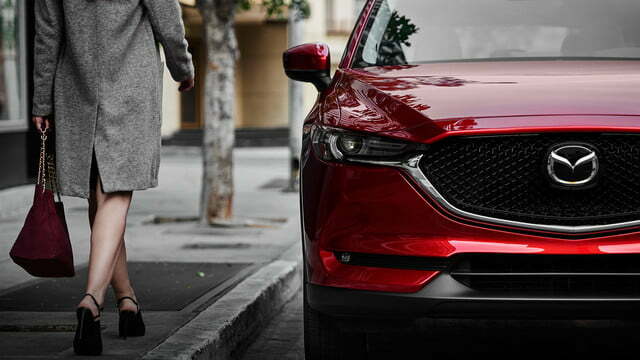 The diesel will give the CX-5 more power, better fuel economy, and most likely a higher price than models with the current 2.5-liter gas engine. When the diesel option shows up, we’ll cycle back and update this article. 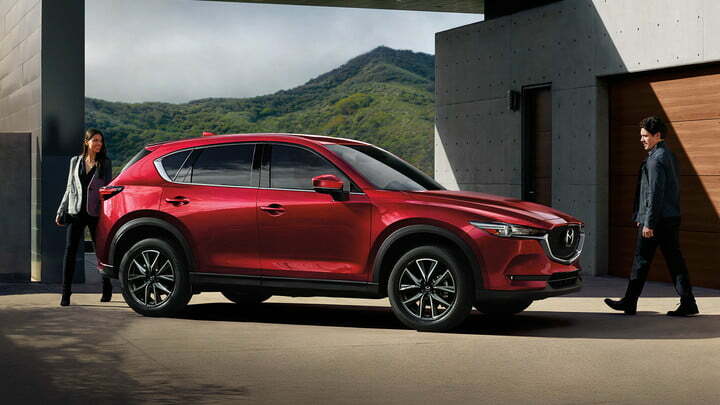 For now, all CX-5’s run on Mazda’s 2.5-liter Skyactive I-4. This engine produces 187 horsepower at 6,000 rpm and 185 pound-feet of torque. The only transmission offered is a six-speed automatic. 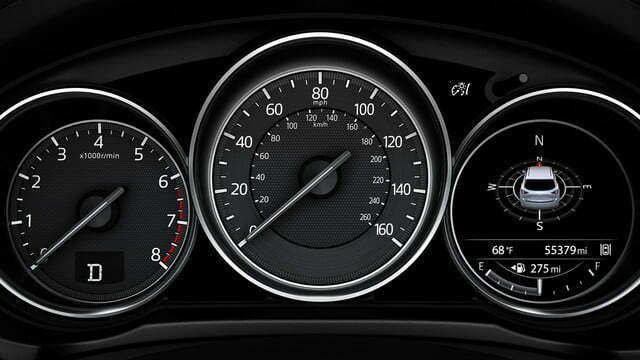 The gas engine’s cylinder deactivation tech shuts off the two outside cylinders when the CX-5 is at cruising speed. According to Mazda, no other company sells vehicles with four-cylinder engines and cylinder-deactivation in North America. 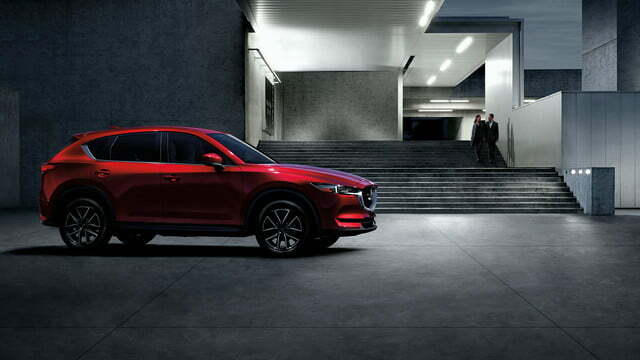 Standard CX-5 tech includes Mazda’s G-Vectoring Control technology and Smart City Brake Support (SCBS). Vectoring control helps keep the vehicle stable when going around corners, counter-balancing the weight transfer by adjusting power output. SCBS uses a front bumper laser sensor to detect vehicles or obstacles in front and apply the brakes to slow the vehicle to attempt to mitigate a crash. 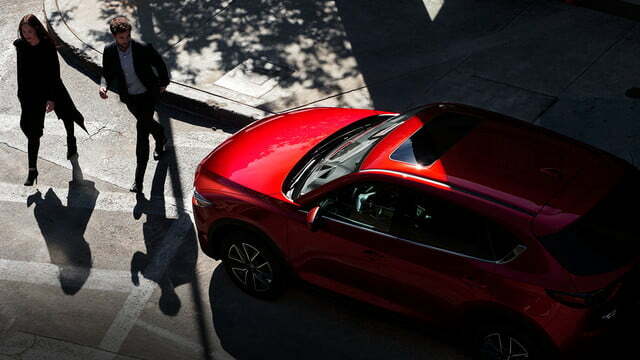 All CX-5s also includes dynamic stability control, traction control, tire pressure monitoring, a rearview camera, and blind-spot monitoring with rear cross traffic alert. In 2017, the CX-5’s full passive safety and driver assist suite was only available on the Grand Touring trim. For 2018, however, all safety and assist features are included on both the Touring and Grand Touring trims and an extremely affordable $645 Sport I-ActivSense package adds the safety and assist goodies to the base Sport trim as well. Additional tech features available as options or on higher trim levels include adaptive cruise control with stop-and-go, lane departure warning, lane-keeping assist, and automatic high-beams. What do you want to bet that those features will be standard with all trims in 2019? 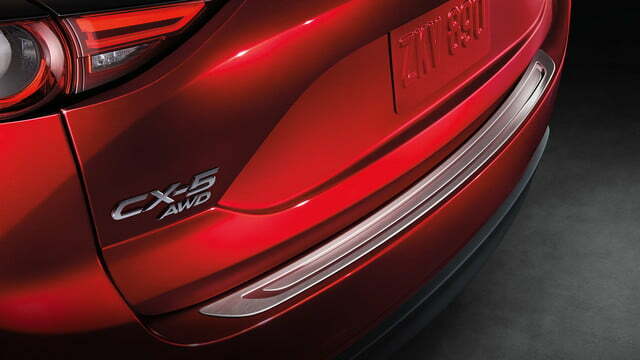 Choosing a CX-5 is relatively simple compared to brands with more trim level, engine, and transmission choices. Starting prices with FWD for the CX-5’s three trim levels range from $24,150 for the Sport trim to the $29,645 Grand Touring trim. All-wheel drive (AWD) costs $1,300 extra with all trims. Pending the diesel engine introduction later this model year, all CX-5’s use the same 187-hp gas engine and six-speed automatic transmission. 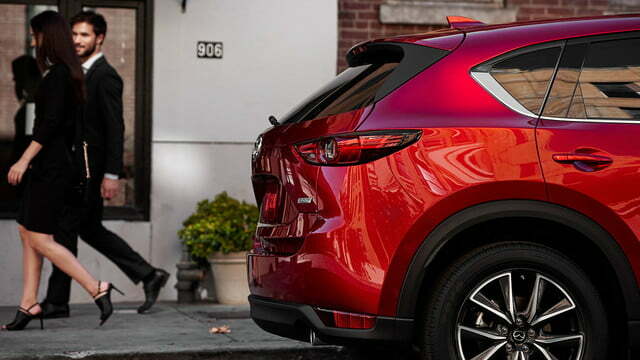 The Mazda CX-5 Sport base trim, $24,150 with FWD to start, has 17-inch alloy wheels, a rearview camera, G-Vectoring Control technology, Smart City Brake Support, dynamic stability control, and traction control. Convenience and comfort features include remote keyless entry, push-button start, manual air conditioning, power windows, and power door locks. 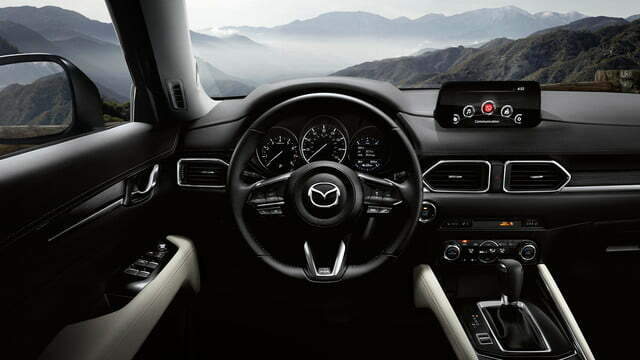 Infotainment features for the Sport trim include a Mazda Connect infotainment system with voice recognition and a 7-inch touchscreen display, AM/FM/MP3 with four speakers, Bluetooth support for phone and audio streaming, HD Radio, Aux and USB ports, and steering wheel audio controls. For 2018 the Sport trim also includes blind-spot monitoring with rear cross traffic alert and a leather-wrapped steering wheel and shift knob. 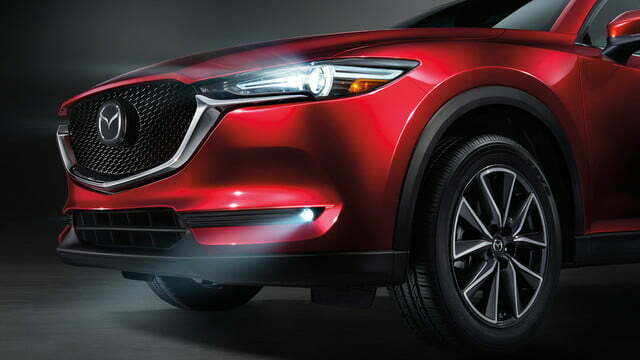 If you want to bump up to Mazda’s full suite of passive safety and driver assist features, the $645 Sport I-Activsense package option adds high beam control, lane departure warning, lane keeping assist, radar cruise control with stop-and-go, smart brake support, and automatic windshield wipers and headlights. The mid-range CX-5 Touring trim, $26,215 to start, has more comfort and convenience features than the Sport, including dual-zone automatic climate control, heated front seats, a six-way power adjustable driver’s seat, and power side mirrors with integrated turn signals. The Touring trim also adds 19-inch wheels. The Touring Preferred options package adds an auto-dimming rearview mirror with HomeLink, a Bose 10-speaker audio system with Centerpoint2 and AudioPilot2, integrated navigation, a power sliding moonroof, and a power liftgate. 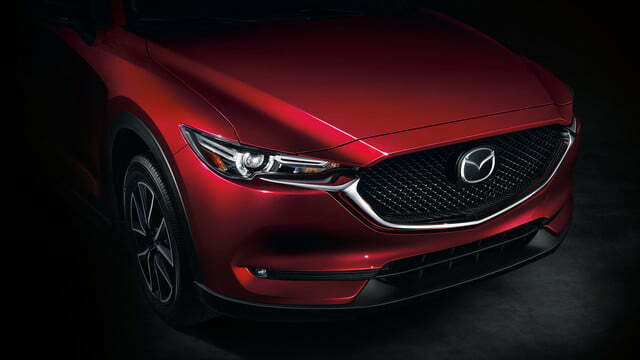 Mazda’s 2018 CX-5 Grand Touring version — $29,645 starting price with FWD and $30,945 with AWD — is the top trim. 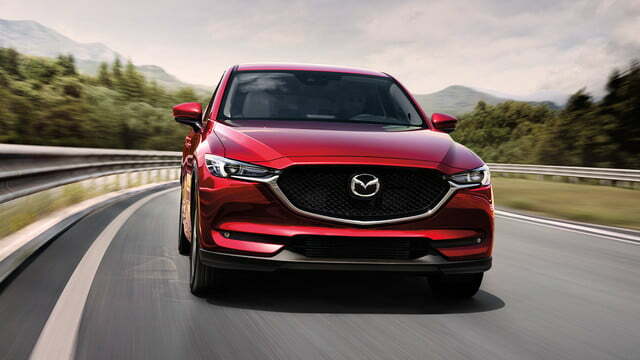 The Grand Touring CX-5 has almost everything Mazda makes available for this crossover. 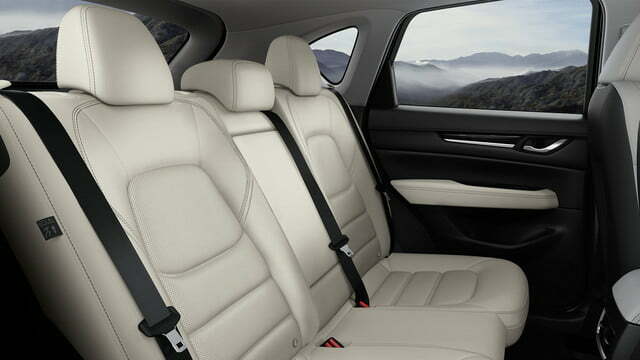 Grand Touring features include leather seats, 19-inch wheels, a power moonroof, LED fog lights and taillights, automatic headlights, power rear liftgate, and an eight-way power adjustable driver’s seat. Additional standard Grand Touring components include LED automatic leveling and auto on-off headlights, LED signature daytime running lights, LED fog lights, and LED signature taillights. You also get heated power side mirrors with integrated turn signals. 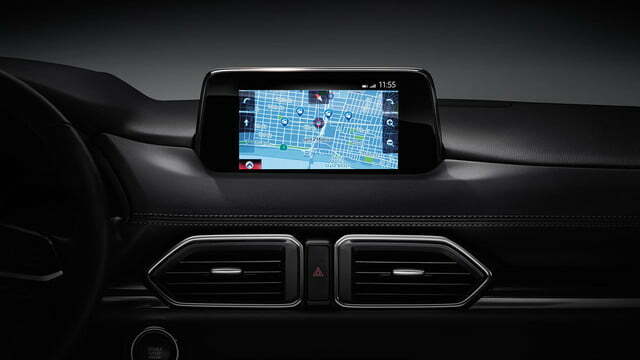 Grand Touring infotainment system upgrades include a Bose 10-speaker audio system with Centerpoint2 and AudioPilot2, a SiriusXM Satellite Radio trial, and an integrated navigation system. 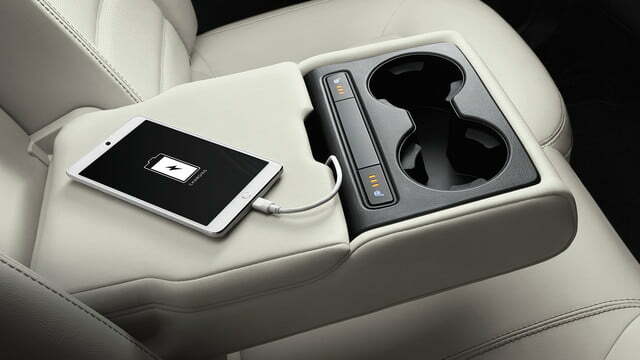 The top model comes with four USB ports including two charging ports, adaptive radar cruise control with stop-and-go, lane departure warning and lane-keeping, automatic windshield wipers, and high beam control. 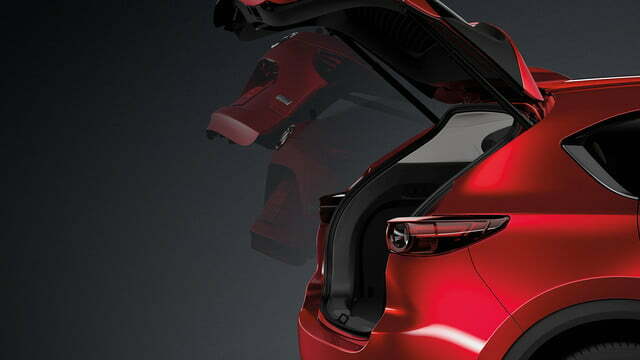 There’s one option package for the top of the CX-5 lineup. The Grand Touring Premium Package, a $1,395 option, includes a head-up display with traffic sign recognition, a heated steering wheel, heated outside second-row seats, and a windshield wiper de-icer.